The Porsche 911 has small design changes including four-point daytime running lights and door handles without recess covers. 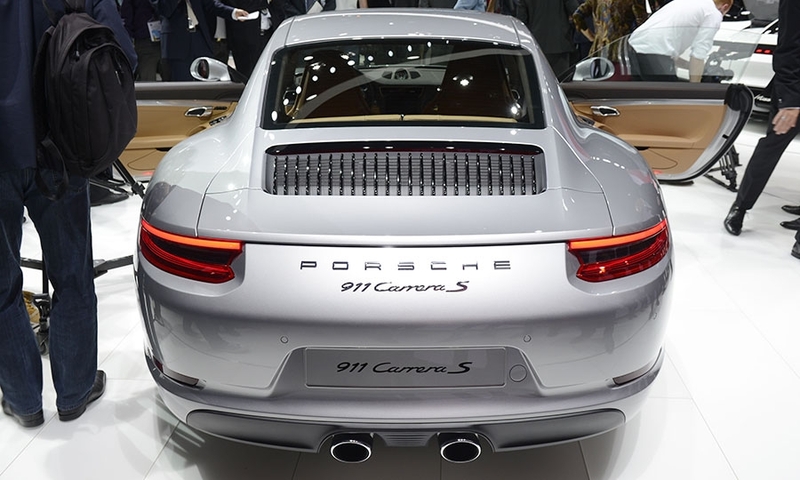 FRANKFURT -- Porsche has added turbocharged engines to its iconic 911 sports car range to help meet increasingly tougher fuel economy and CO2 emissions rules. 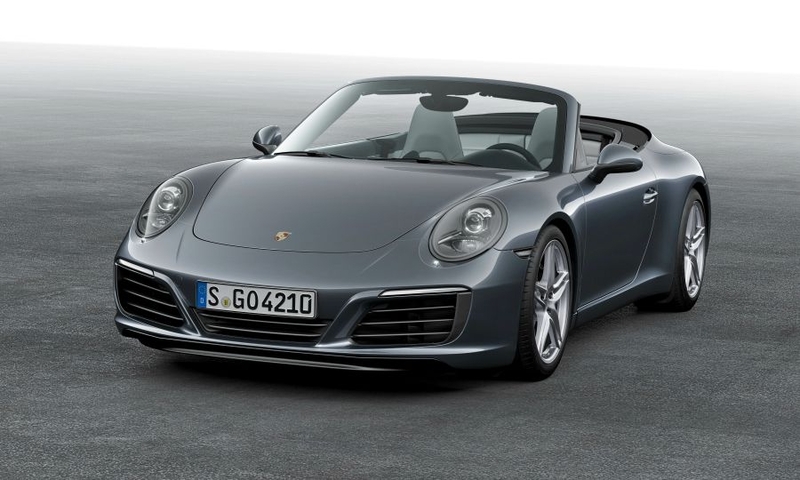 The new turbocharged engines will offer a 20-hp increase on the current engines while lowering emissions, Porsche said. The turbocharged engines will debut on the face-lifted model that will be unveiled on Sept. 15 at the Frankfurt auto show. "We are switching to turbocharged engines mainly because the stricter emission regulations cannot be reached otherwise. We will still offer naturally-aspirated engines in some versions such as the GT3 but by in large there will be a shift to turbocharged engines across the broader range,” a Porsche spokesman said. 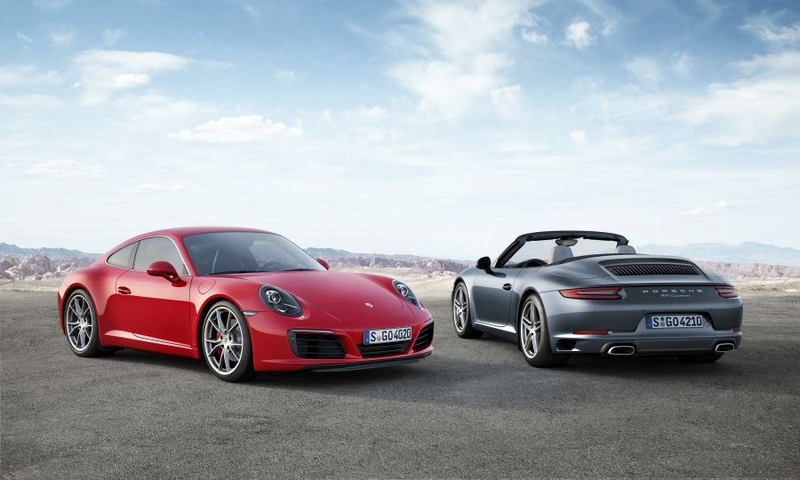 The 3.0-liter engine in the standard Carrera now develops 370 hp while the 911 Carrera S delivers 420 hp from the same displacement. 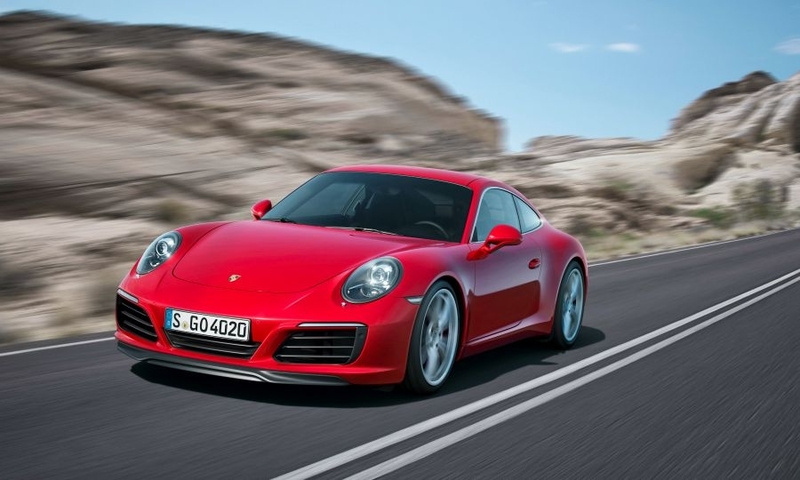 The new engines make the refreshed 911 the fastest 911 to date, Porsche said in a statement, reducing the lap time on the North Loop of the Nuerburgring race track in Germany to 7 minutes and 30 seconds, 10 seconds faster than the current Carrera S.
The 911 Carrera S can now sprint from 0-100 kph in 3.9 seconds, shaving two-tenths of a second off the clock and making it the first 911 in the Carrera family to undercut the four-second mark. 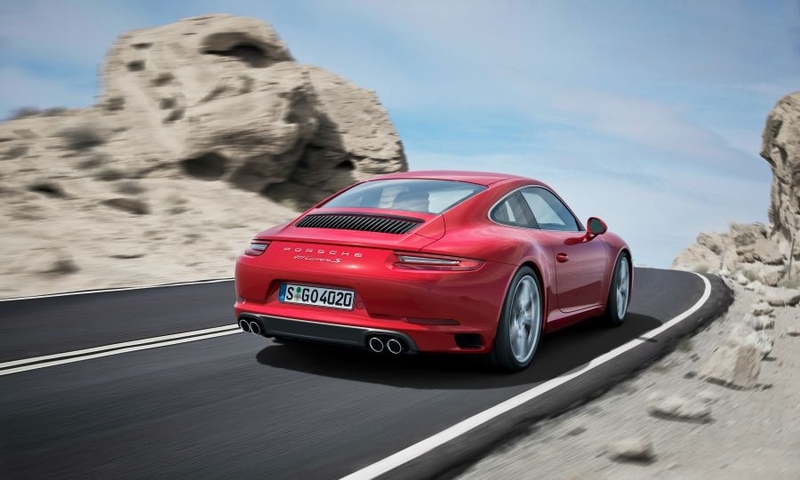 For the first time, rear-axle steering will be available as an option for the Carrera S, enhancing its agility. This chassis technology adopted from the 911 Turbo and 911 GT3 enhances the turn-in behavior of the 911, In addition, it boosts stability when changing lanes at high speeds and ensures greater maneuverability in city traffic thanks to a reduced turning circle. 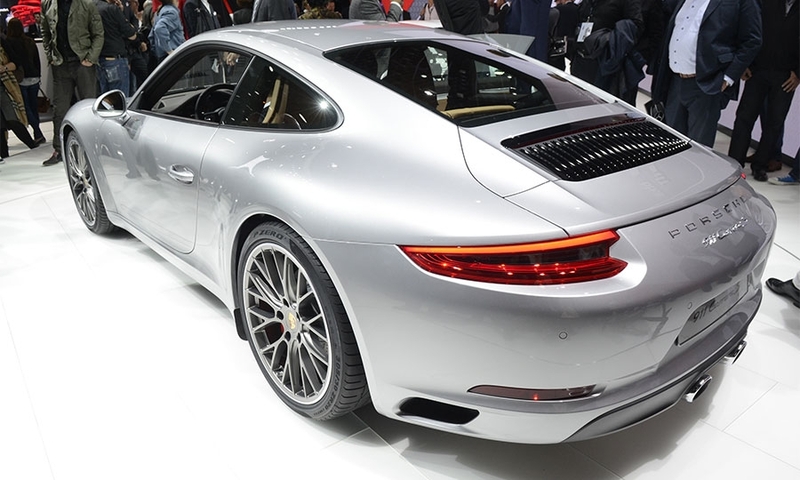 Global 911 sales last year were 30,510 vehicles, accounting for 16 percent of all Porsches delivered to customers. The rear-engine coupe remains a key model for the Volkswagen Group brand even though it is no longer be a major volume contributor now that it has been eclipsed by sales of the Cayenne and Macan SUVs. 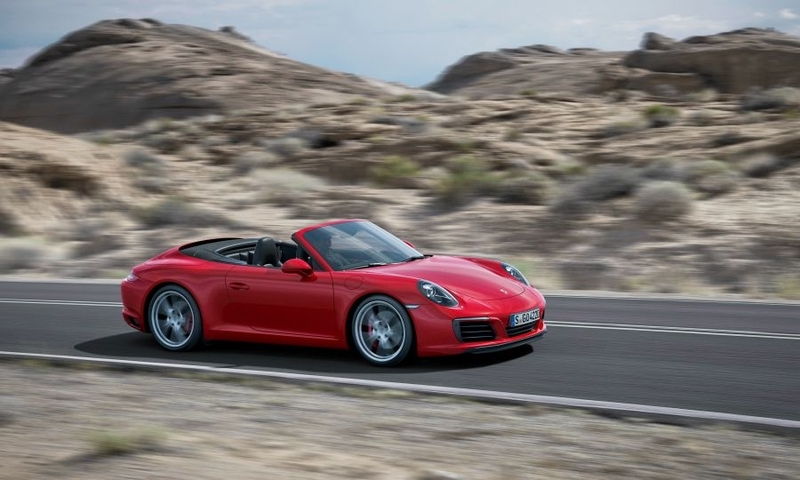 Porsche sells more than 20 versions of the 911, including the Carrera S Cabriolet, Targa 4 GTS and GT3 RS. The Stuttgart carmaker also has among the highest profit margins in the industry thanks mainly to the drawing power of the 911. In the first half, Porsche's return on sales still reached nearly 15.7 percent, down about 1.5 percent points year-on-year due to the addition of the higher volume but lower-margin Macan entry SUV. 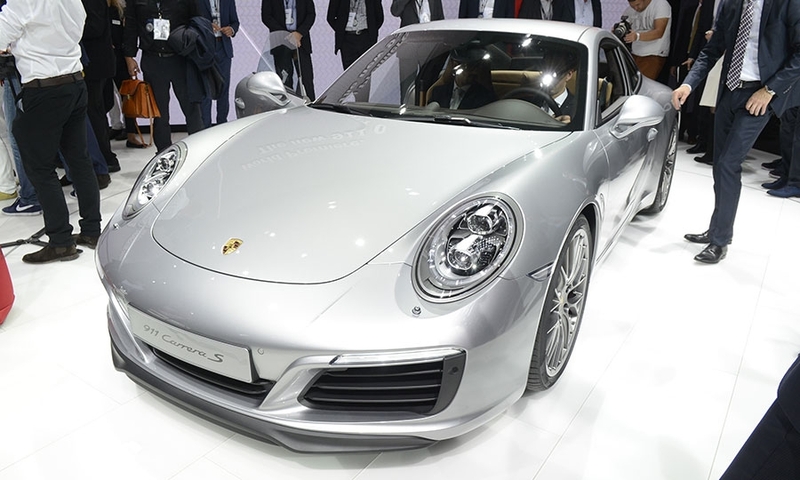 The face-lifted 911 gets small, evolutionary design changes. New aspects include headlights with four-point daytime running lights, door handles without recess covers, a redesigned rear lid with vertical louvres and new rear lights – including the characteristic four-point brake lights. 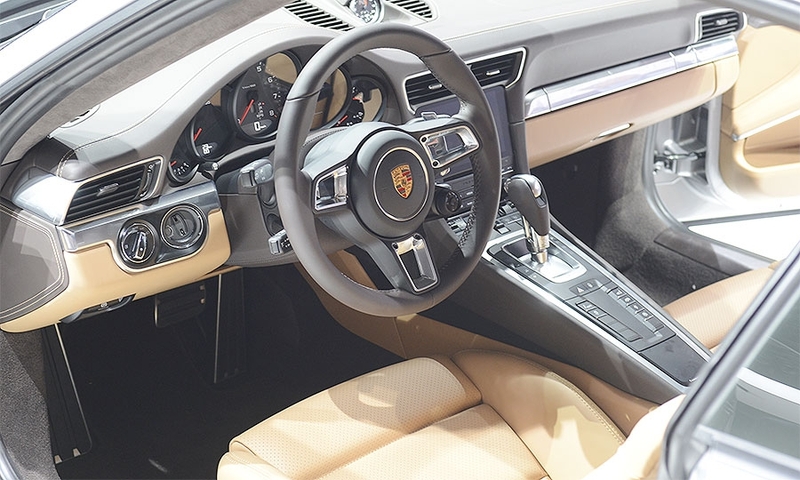 In the interior the new standard Porsche infotainment system offers a multi-touch display with a considerably expanded range of functions and simplified operation. 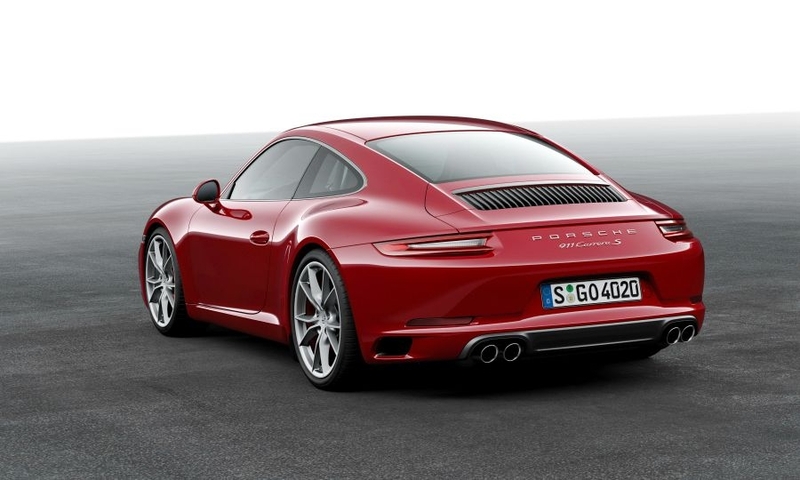 The refreshed 911 models will be launched in Germany on December 12, starting at 96,605 euros for the base version. The range will go on sale in the U.S. in March, with prices starting at $89,400.